For NBA players, basketball is their livelihood. They spend more than eight months of the year traveling, training, and playing games for their respective franchises. Although they all have one common goal in mind (an NBA championship), each player has other passions outside of the game they love. One of the most popular hobbies is playing a round of golf, and several NBA players can hold their own in a competitive environment. Let’s take a look at the seven players with the best golf games in the NBA today. 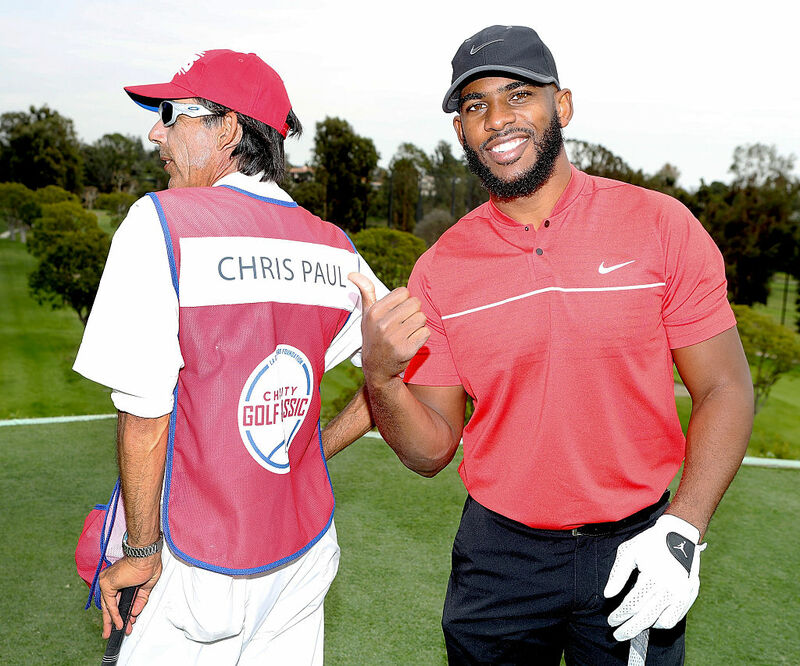 One of the best point guards to ever play the game, Chris Paul is also excellent on the golf course. Paul has improved his golf game considerably over the last few years, going from a 20 handicap into the low teens. One half of the Splash Brothers, Klay Thompson is a marksman on the court and a tenacious defender. His favorite courses to play on are Pebble Beach and Pelican Hill. He teamed up with Andre Iguodala and Steph Curry to play in the 2016 Augusta National. While averaging over 11 points and nearly four rebounds per game for the Atlanta Hawks, Bazemore can also take opponents to school on the golf course. He has even had custom golf clubs made for him, so if you see him at the driving range be ready for a challenge. J.R. Smith has delivered some clutch plays and infamous moments during his time in the NBA. Who can forget his miscue against the Warriors in Game 1 of the 2018 NBA Finals, where he dribbled out the clock instead of hoisting a potential game-winner? That was the start of a long series for the Cavaliers, and fans can speculate that it was a driving force behind LeBron leaving for Los Angeles. After a gaffe like that, fans might question Smith’s basketball abilities. What’s not up for debate is his golf game. Among NBA players who golf, Smith is one of the best, and he takes aim at par every time he plays a round. Mike Conley Jr. recently put himself in rarified air, joining LeBron James and Reggie Miller as the only other player to be all-time franchise leaders in points, assists, steals, and 3-pointers made. Conley Jr. has played consistently throughout his underrated career and could find his way into the basketball Hall of Fame when his career is over. His 7.0 handicap on the golf course makes him one of the hardest guys to beat on the links as he has the third-highest handicap of active NBA players. Although Korver’s career is likely coming to an end soon, he has still provided memorable moments for even casual NBA fans. Playing for the Utah Jazz this season, he is averaging nearly nine points per game and shooting 39% from behind the arc as Utah fights for a top-four seed in the Western Conference. 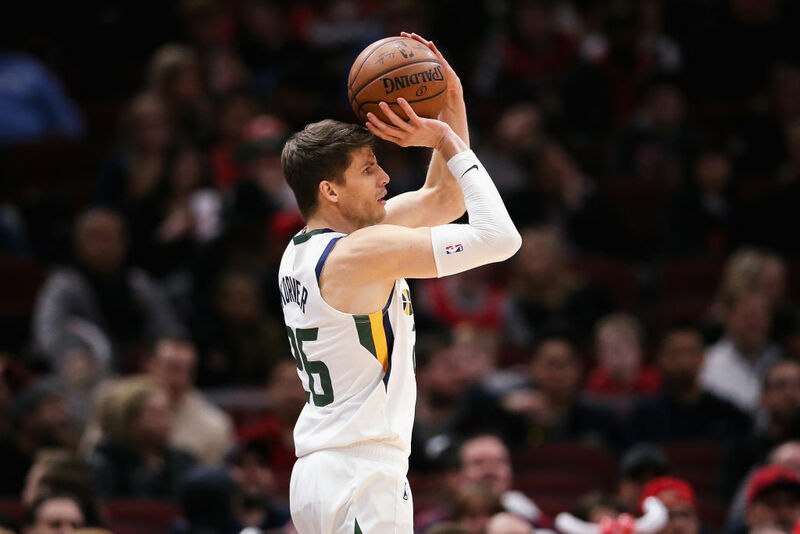 We’re not sure what he’ll do when his career ends, but as one of the best golfers among NBA players, we’re sure Korver will play at least a few rounds in retirement. One of the game’s greatest shooters is also it’s best golfer. Curry has been an MVP twice, a three-time NBA Champion, and made the All-Star game multiple times. When he steps on a golf course, be prepared for a major fight. He shot a 74-74 in 2017 at the Web.com Tour Ellie Mae Classic and followed it up with a 71-86 in 2018. Another distinguishing characteristic to his game? He’s made a hole in one. Not too many NBA players can say that.